I begin this part 2 as I began part 1: with the proposal that the repair after the rupture is more valuable than there never being a rupture in the first place. I'll now add that crisis is necessary to provoke change in a system. The function of conflict in the world is to demonstrate, undeniably, that the status quo situation is not sustainable and must be transformed - for better or for worse. That is the kind of situation we face today. As U.S. Americans and the whole of humanity, we stare wide-eyed over the precipice of the present moment into an inconceivable and unprecedented future. The resounding message from last Tuesday's election (and so many other events) is that there is a serious problem with our country and our world. The message from across the political spectrum is that things are broken and they need to change. In this way, the conflict that is alive today in U.S. American politics has set us on an irreversible course towards wholesale transformation. We can't go backwards. We can't put this back in the box. Centrism is no longer an option. Things are changing, and our participation in the process is non-negotiable. The way we act now is the change. We (all of us) are the team that gets to decide what we do next. 3. Stay for the repair that comes after the inevitable rupture. 1. As Americans (and as humans)* we must start by recognizing that we are in relationship with each other. Like it or not, we are being called to build the future together. We cannot continue divided. We are interdependent and we will need to reach across the spaces, culture and algorithms that separate us. Some folk want to secede. Even if that were possible, it won't work. Just imagine, if we decide to divide into ever smaller units (all the way down to two) we will always face the debate of progressive vs. conservative. It is an infinite question. No matter how much we want to be free of that which challenges us, it will always be there. Just think about your family. Furthermore, even if we were totally alone, there is still an opportunity to develop compassion with the parts of our own selves that we don't agree with or struggle to tolerate. 2. The challenge that we are facing now is the product of people finding and expressing their voices. We are seeing people across the board finding the courage to say that they want the world to be different, and many are finding ways to point out how they are concerned. Whether the act is protesting, attending rallies, voting for a political outsider or taking a knee during the national anthem, people are speaking up, and the consensus of Americans is that we are worried about what's happening in our country. And yet the voices are each unique. Each of us is bringing a different flavor of concern to the table, based on our unique life experience and perspective. The rise of voices has prompted the crisis that we are in. The conflict has been laid bare. We can no longer ignore the conversations that we need to have about race, gender, faith, culture, environment, progress, and tradition, and we can no longer ignore the voices of those with whom we have disagreement. 3. Now the call is for all of us to step up and follow through with the repair. To do that, we need to continue to elevate our unique perspectives, requests and offerings, and we are going to need to listen to one another's perspectives, requests and offerings. The dance of self and community is infinite, and the question isn't ever who's right or wrong, instead we have to ask how we are going to manage a future that holds such incredible diversity. I know that this is a tremendously hard pill to swallow for almost everyone. The level of vitriol in our politics today is insanely high. For many people this situation is not only frightening, but traumatic. Trump has explicitly threatened numerous cultures, races and individuals, as well as U.S. Democracy and the Constitution (free speech/press, due process, freedom from cruel and unusual punishment, etc.). He has stoked a hidden culture of xenophobia, sexism, racism, religious oppression, homophobia, and much more. Just the idea of having him as our representative on the international stage is embarrassing and terrifying. Nonetheless... I still believe, as I did in June, that Trump is a distraction from the main point. The main point is that people are pissed just as much as they are divided. As Tim Urban explains here, "voting for a candidate does not imply that you espouse all of his or her views." That is the edge of the silver lining here. We don't need to talk to Trump. We need to talk to each other. We still haven't even begun the conversation about the America that we aspire to be. Until November 8th, most people didn't even realize that there were such different conversations happening. Just today I was teaching effective listening skills to high school students. When compared to the experience of trying to talk over one another, everyone agreed that it felt better to be listened to by other, and that it felt better to actually listen to others. There was also the stark reminder that we have all been guilty of not listening to another person, because we were so focused on being heard. There is a powerful opportunity next week for U.S. American families to practice our listening skills as we gather for Thanksgiving. The listening skills include asking questions, reflecting back to people what we've heard and summarizing the stories they've told us. For all of us there is an opportunity to show that we can be empathetic to the struggles of others just as we'd want them to do to us. By listening we are affirming our interconnectedness and showing that we are ready to begin the repair. Let's help each other bring forward each others' best voices. Share a story from you life experience that you think may have shaped your perspective about the election. What are the hopes, concern or values do you have that inform your approach to politics? Where or how did you learn them? Are there ways that your values and perspectives have been stereotyped by the otherside? If so, what is it about who you are that makes the stereotypes especially upsetting? Are there some stereotypes of your own party that you feel are somewhat deserved - even if they are not fully true? Given the challenges we face, what dreams do you have for yourself, your family, community or country? What steps can you take toward making one dream real? What do you hope we can work on tog ether? I know that this is scary. No one really wants to have these conversations. It seems easy to just hate and ignore each other like we were doing before, and that brings us full circle to the importance of crisis. We need the crisis to force us to face the situation that we're in. If we decide that things aren't bad enough. If we choose to remain divided and not engage in the repair, then we are choosing to wait until an even greater crisis before we move forward. This is not something that we can continue to ignore. (Un)fortunately we have a whopper of a four year and three month long crisis on our hands, so it won't be so easy to collectively forget as a shooting or a hurricane. Things can only get better or worse from here, and we are the ones who get to make that choice. And we can only make the choice for our self and create space for others to do the same. The future will not (can no longer) be one of centrism and compromise. The future we are stepping into can only be proud, collaborative and diverse. To get there we will need all of the voices to be at the table. Good Luck America! Good Luck World! "Is America Possible?" with Vincent Harding - Here is an an excerpt: "In regards to building a multi-racial, multi-ethnic, multi-religious democratic society, America is still a developing country... The knowledge is available if we seek it... It will be hard work." Also don't miss my blog post from June about the "Invisible Voices" that would invite a Trump presidency if we didn't listen to them. 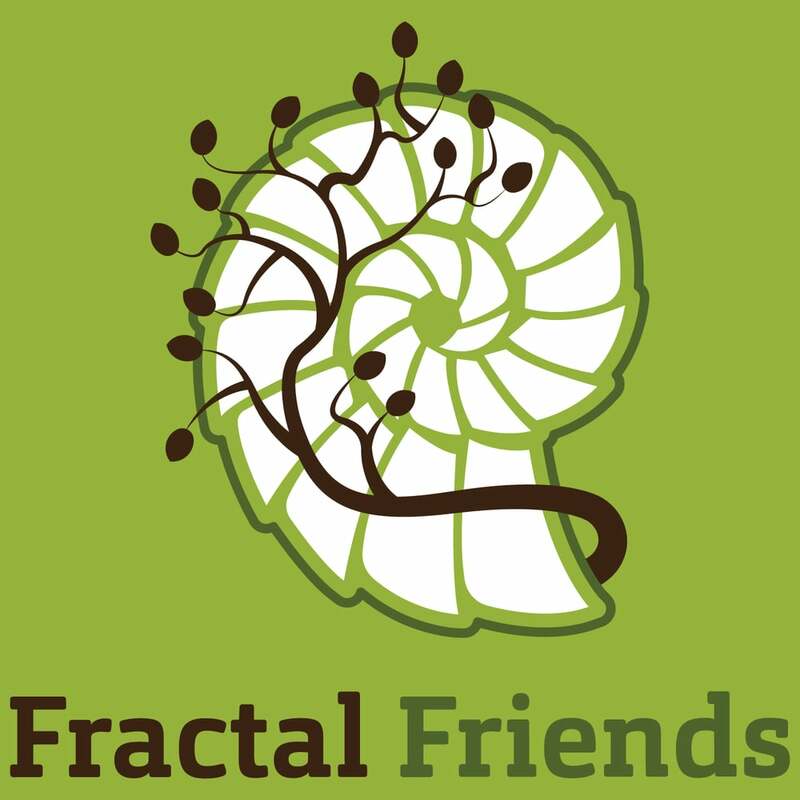 Finally check out my Fractal Friends podcast with Steve McIntosh about "Transcending Political Polarization." *I want to acknowledge that I'm allowing a U.S. American-centric perspective of this article. Nonetheless, this affects everyone in the world. I will also say that the dynamic where a populist conservative movement is clamoring for a voice and the progressive movement is shocked and surprised is ubiquitous. I see similar debates arising occurring in Britain, Colombia, India, Turkey, Argentina, France, Brazil, Ecuador, Venezuela, and lots of Europe, etc.